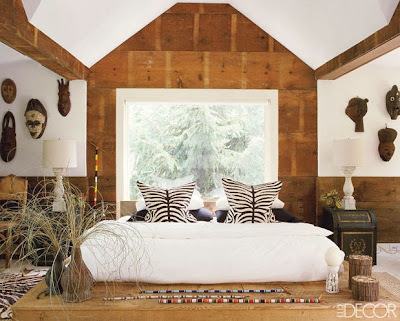 The Relished Roost: Much Ado About Barn Wood! Much Ado About Barn Wood! I loved seeing all the creative things one can do by repurposing at The Country Living Fair! 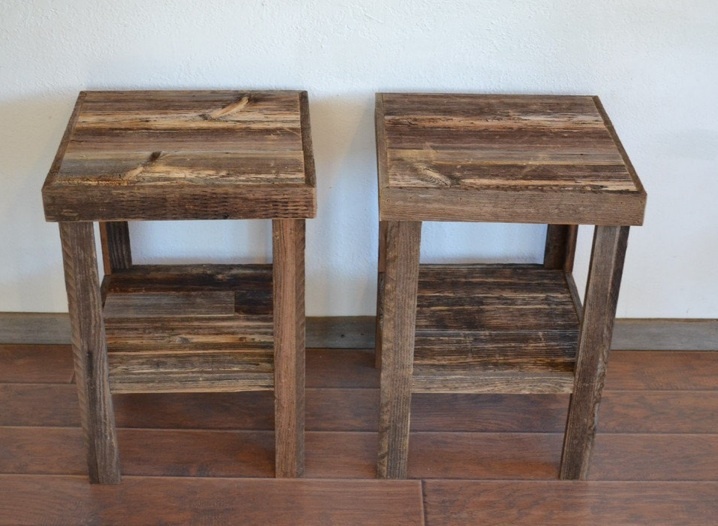 We too have created items out of recycled pieces such as driftwood and of course good ole barn wood! There are so many things that old barn wood can be used for and I love the fact that you have taken a little bit of old and rustic and breathed new life into it! 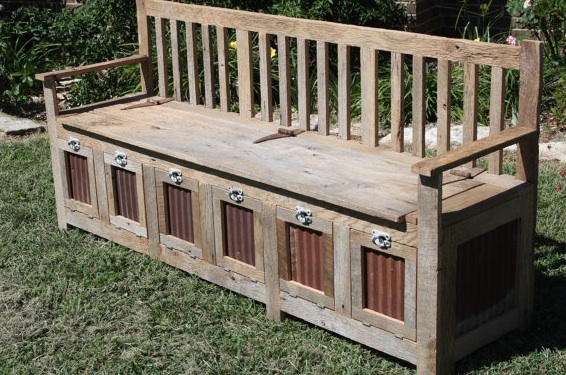 Check out some of the creative ways to use old barn wood and maybe you will come up with a project of your own! 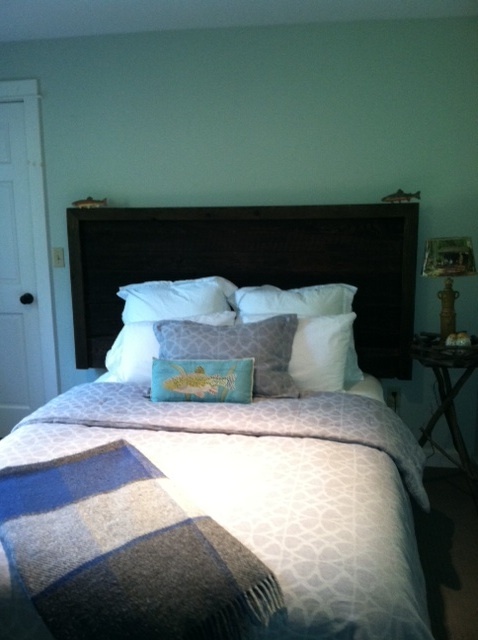 Simple head board my Dad and I made out of an old barn door from my home, the photo reads a bit dark but it was really fun! 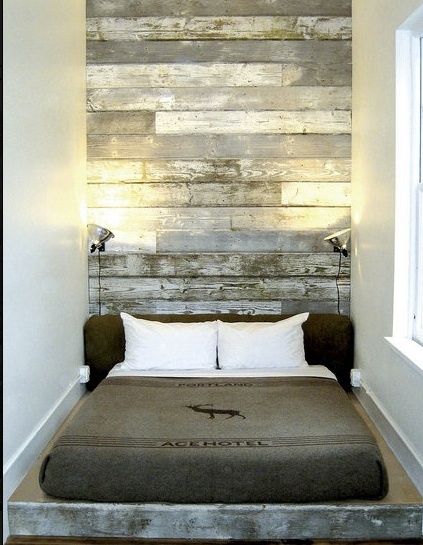 Ace Hotel cool head board!!! Cute side tables again from Etsy! 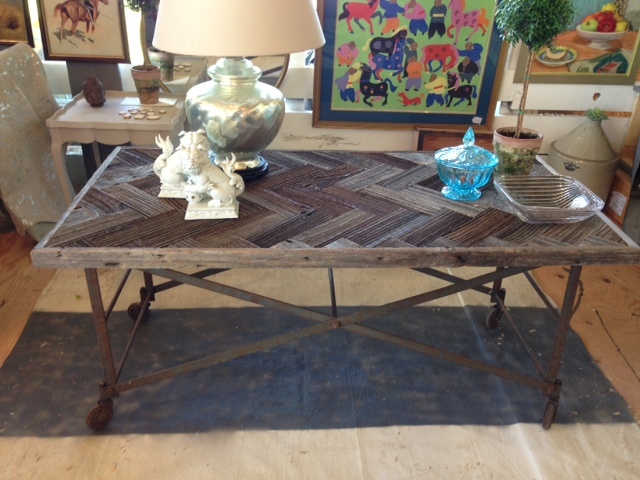 Of course our custom barn wood table, and more to come! 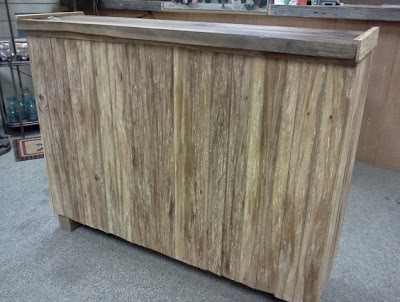 Barn wood goes modern here! 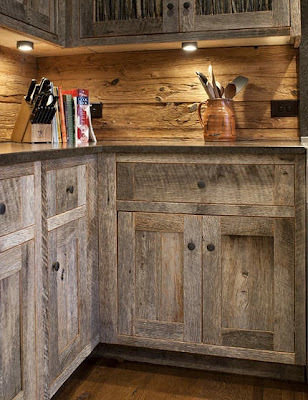 The whole kitchen done rustic with barn wood! 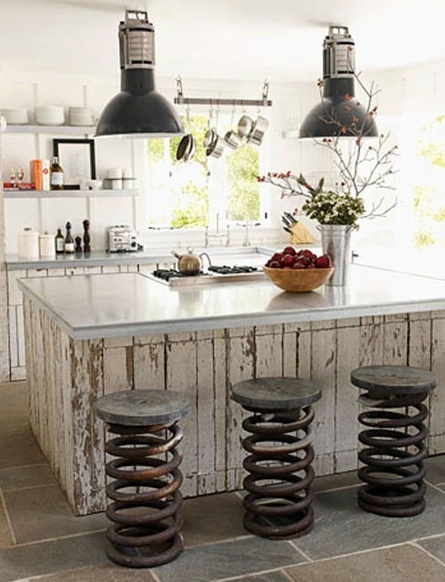 I love this island with weathered barn wood, soo cool- Pinterest! 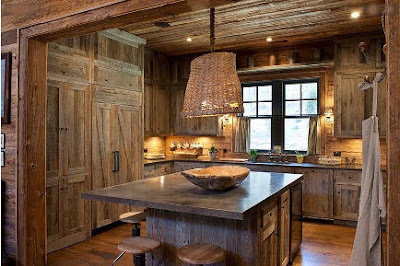 Love how the rustic barnwood easily mixes with any decor. 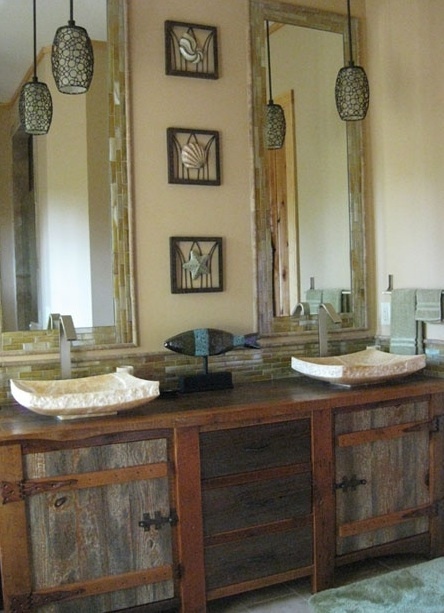 I LOVE the walls, Karolyn! 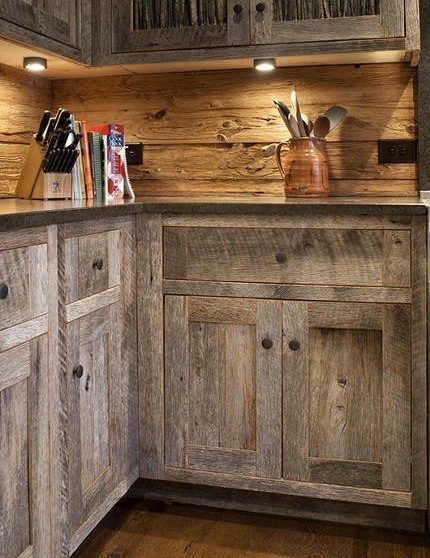 So rustic and goes with anything.